Bare Bones Madagascar 70% Dark chocolate. Bean-to-bar chocolate handmade in Glasgow, with beautiful flavours and gorgeous packaging. Eau Good Glass water bottle. This eco-friendly water bottle features a compostable active charcoal filter. Christmas Dry Gin. Distilled in Edinburgh, this festive spiced gin is perfect for your Christmas cocktails. Spices Cherries. These delicious dark cherries, suspended in a winter-spiced syrup, are perfect for adding to prosecco or serving with dark chocolate desserts, venison or lamb. Smith & Sinclair Edible Fragrance. An edible fragrance to bring a mind-blowing flavour boost to your tipple. Dark Chocolate Gingers biscuit tin. 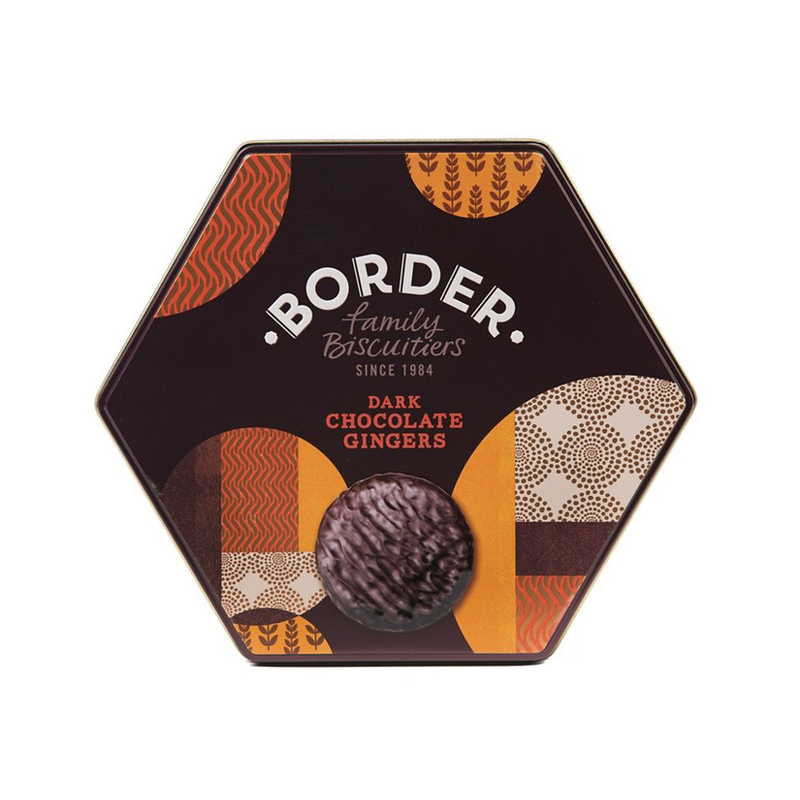 Gift your loved ones a tin of these award-winningly delicious dark chocolate ginger biscuits to tempt their sweet tooth. Ripple champagne saucer. Serve up sparkling Christmas cocktails in style with these Danish-designed champagne glasses. Personalised sweetie jars. Enormous jars of all your favourite sweets, with a personalised message to make them laugh out loud. Kinship Marble cheese board. With white marble, gold accents and hand-carved wood, a cheese board has never looked so good.